Symphony Orchestra — Hanford Music Co. The HHS Symphony Orchestra is probably the highest and most prestigious ensemble at Hanford High School. 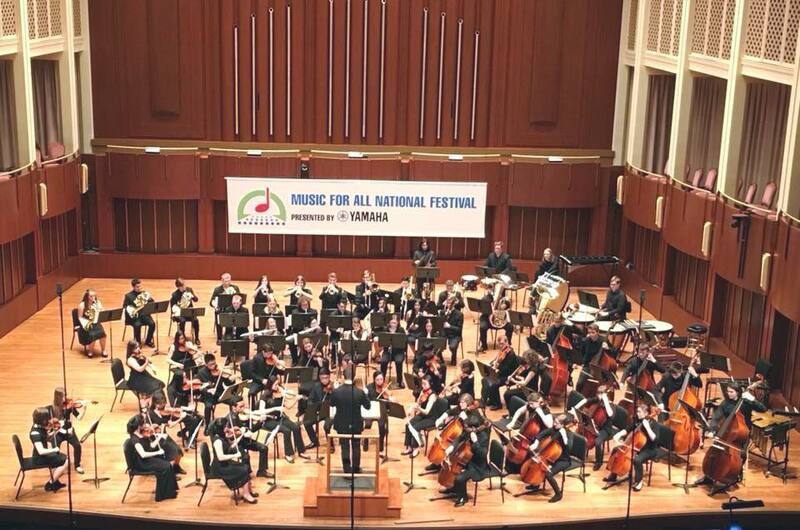 With recent honors of performing at the All-State Music Educators' Conference, and on the national level at the Music For All National Orchestra America Festival, the HHS Symphony Orchestra has gotten a level of applause from not only the principal and superintendent of the district, but honors from the governor of Washington and privileged to attend clinics hosted by some of the world's most renowned clinicians and musicians. Symphony orchestra is an auditioned based extra-curricular ensemble, and is not actually a class at Hanford. Auditions will be held by both Russ and Chris Newbury. Those who auditioned will be placed accordingly.